for delivery charges for your postcode region. The product price does not include the delivery charge this is added at the Checkout. 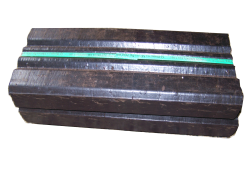 Compressed peat briquettes are strapped together to form a bale. 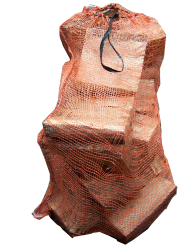 Each bale breaks into easy to handle smaller formed pieces "a briquette", when unstrapped, for ease of stoking into a fire or stove. 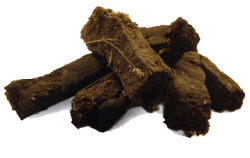 Each briquette is made from compressed peat. You will get approximately 22 individual pieces from this bale. 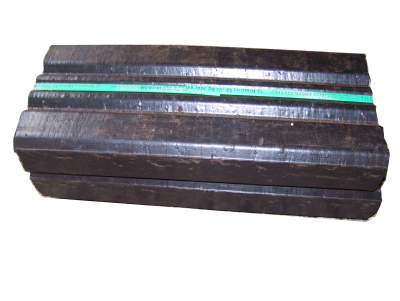 Each briquette piece measure approx 19cm long x 7cm wide. Two bales are packed into a strong plastic sack & wire tied to weather proof the product. 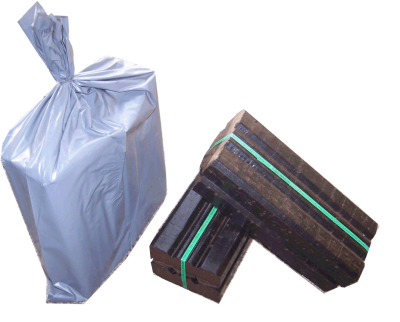 Two compressed briquette bales are packed into a strong wire tied plastic bag to weather proof your goods. You will get approximately 44 individual pieces from this bag. 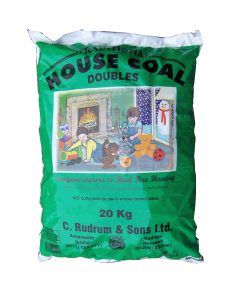 These extremely popular traditional Irish peat sods are still commonly used to produce quaint Irish cottage fires. 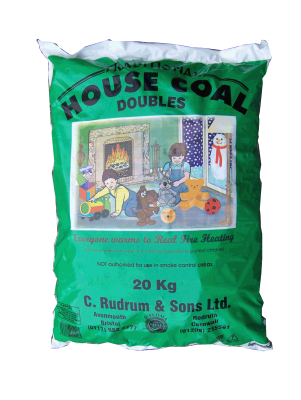 They are the perfect size for most fireplaces or stoves and are packed into hessian sacks. The logs are packed into a large netting bag. 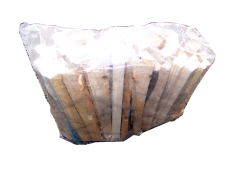 They are ideal for burning alone or with Coal, Irish briquettes or Irish Turves. 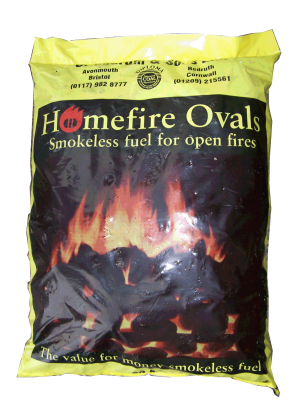 The perfect product to get your fire off to a quick and easy start. A British quality smokeless oval coal that is ideal for all applications will compliment any of our other burning products. 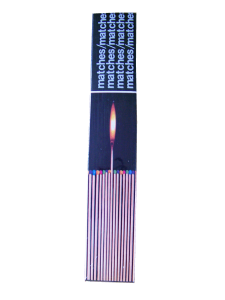 A quality miniature coal hod made from metal and finished in matt black containing long matches and convenient striker situated on the side. 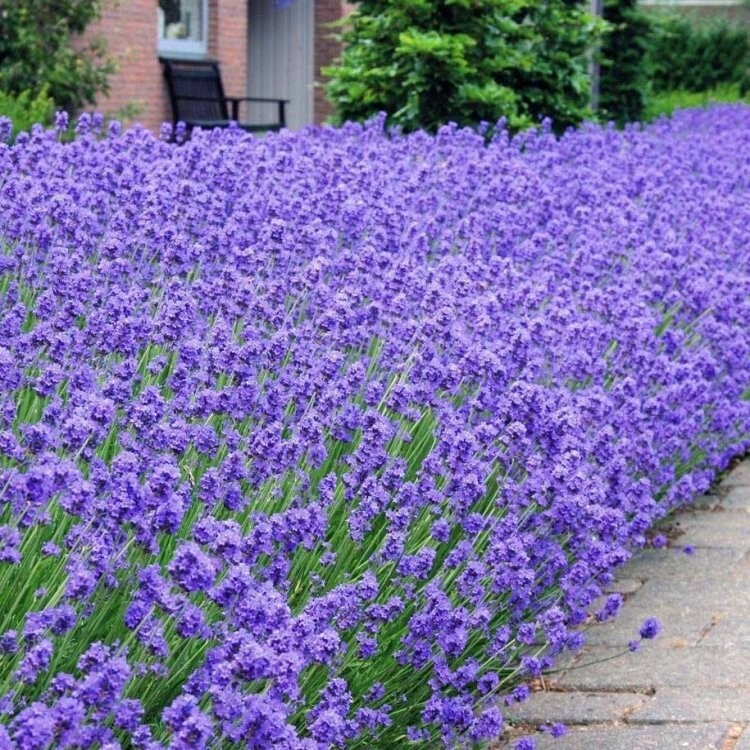 This item comes in a nice presentation box and would make an ideal and unique present. 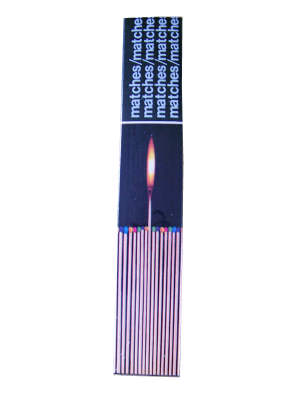 These matches are ideal for lighting any fire as each stick is 11" in length. 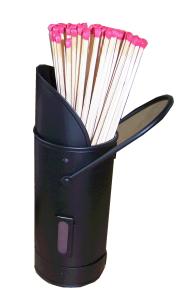 The sticks are boxed with a striker on the base of the box.